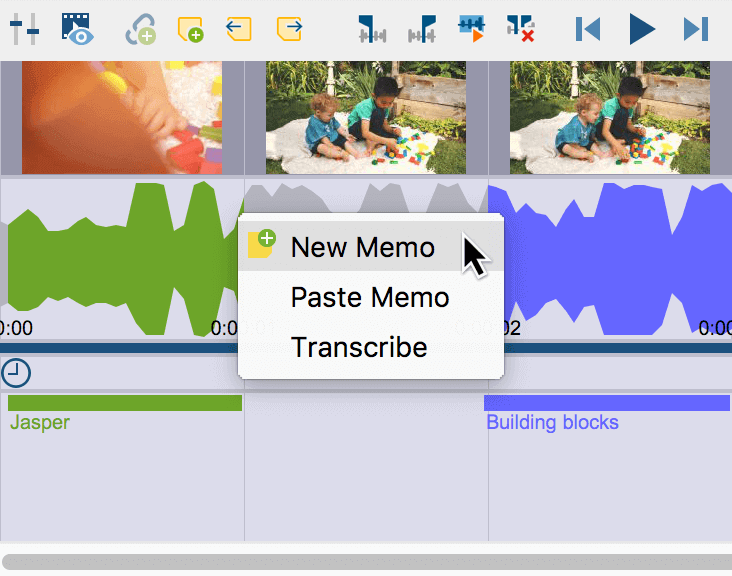 As well as coding them, you can also add memos to media files to make notes or record your thoughts, hypotheses, interpretations, and much more about particular time positions. The memos can also be used to subdivide a video file so that you can quickly “navigate” through the video. Or click the button New memo in the Multimedia Browser toolbar. You can jump back and forth between the memos of a media file at any time by using the Previous / Next Memo icons or the associated keyboard shortcuts ⇧ + F3 and F3 in Multimedia Browser toolbar. In MAXQDA, document links are used to link together two points in a document. This creates a hyperlink that you can click to jump back and forth between the linked points. Select part of a video in the Multimedia Browser. 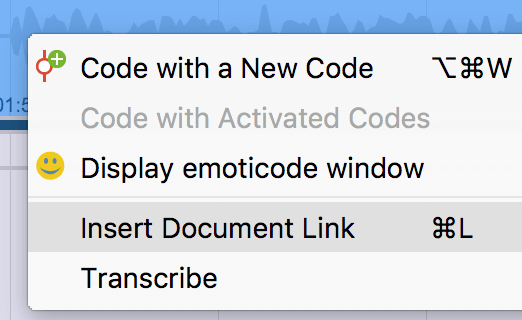 Right-click the sequence and choose Insert Document Link. Alternatively, you can use the key combination Ctrl+L (Windows) or cmd+L (Mac). This sets the document link at the start of the sequence. Select another sequence in the video and repeat step 2. This sets your link target. In the Multimedia Browser a link icon will now appear in the waveform, which you can click to jump to the linked section. You can link a video sequence with another video sequence as well with a text segment. For example, a text passage that talks about a specific video scene can be linked to this scene via a document link.